The best thing about living in Rhode Island: Del’s lemonade, of course. The worst thing: paying so %#@& much for car insurance. It takes less than an hour to drive all the way across the state — so why is Rhode Island car insurance so expensive? We’ll explain the RI state minimum requirements and how to find the best rates. Or, if you want the TL;DR version, go ahead and get your own personalized quotes on Compare.com. It’s free. It’s fast. It works! 1. 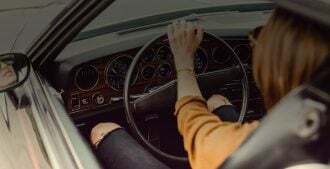 What are the RI Auto Insurance Requirements? In Rhode Island, you may decline uninsured/underinsured motorist coverage if you choose to buy the state minimum limits of bodily injury and property damage liability. Uninsured motorist (UM) coverage and underinsured motorist coverage (UIM) pay for injuries or property damage you and your passengers suffer if an uninsured, underinsured or hit-and-run driver causes an accident. 2. Why is Car Insurance so Expensive in Rhode Island? Of all 50 states, Rhode Island ranks seventh for the highest average car insurance rates, according to the Insurance Information Institute. Why does RI car insurance cost so much? For one thing, it’s a heavily urban state. Collision and crime rates — and thus car insurance rates — tend to be lower in rural states with wide open spaces, like Wyoming and South Dakota. Fatal accidents are also increasing in Rhode Island. In 2017, the state saw 83 road fatalities — a 62-percent increase over 2016 and the highest number of deaths since 2008. 3. How Do I Find the Cheapest Car Insurance in RI? In other words, every Rhode Island insurance company has its own secret methods of calculating rates. One company might give young drivers a better deal; another company might offer the cheapest rates for people who have a few dings on their driving history. That’s why you have to compare customized quotes side by side. 4. 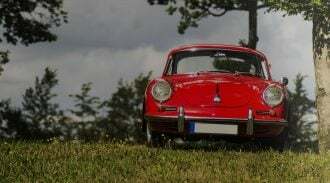 How do I Use Compare.com to Find the Cheapest Rhode Island Auto Insurance Quotes? It’s so easy! We’ll show you how. Let’s say you’re a 27-year-old woman, with a good driving record who’s living in Warwick, RI (If you’re actually a 48-year-old man living in Providence, this advice applies to you too). To start, just enter some basic information on Compare.com, then pick a level of insurance coverage: state minimum, Basic, Plus or Premium. To see the absolute cheapest RI auto insurance quotes, pick state minimum. This gives you 25/50/25 coverage for bodily injury and property damage, 25/50 in uninsured/underinsured motorist bodily injury, and $2,500 in medical payments, which pay for your and your passengers’ medical bills. Then, compare quotes. In this scenario, the best quote for state minimum coverage is $197 per month. The only problem is that state minimum insurance doesn’t include comprehensive and collision coverage, which you really need if you drive a newer car. So you select Basic coverage instead, which adds comprehensive and collision (with a $1,000 deductible). Now, your best quote is $306 per month. Maybe you want even more coverage because you have assets, like a house, that you want to protect from car crash-related lawsuits. Plus coverage increases the bodily injury/property damage, and UM/UIM liability limits to 50/100/50 and cuts your collision/comprehensive deductible to $500. You also get towing and rental car coverage. And now, your best quote is… $288 per month! Yep — in some cases, you may actually find that one company will give you a cheaper quote for better insurance. That’s why it’s so important to compare. 5. What if I Can’t Afford Rhode Island car Insurance? So don’t let the cost of car insurance make you drive illegally. Compare.com can help you find the cheapest Rhode Island car insurance quotes in just minutes. Start today!